Ray tracing denotes a class of rendering algorithms that are well-known for their flexibility and their capability of generating highly realistic images of three dimensional models. However, due to the heavy computational requirements, it has traditionally been used for offline rendering. Improving the performance of ray tracing has been an active area of research and due to recent advances in hardware and software interactive ray tracing is becoming feasible. In this thesis we model ray tracing as a rendering pipeline consisting of multiple programmable stages. The ray tracing pipeline is used to implement and evaluate selected optimization techniques that increase the performance. We evaluate the effect of ray packets, which is an optimization that exploits the SIMD architecture of current CPUs. We evaluate also an optimization technique that decomposes ray tracing into data parallel stages and is targeted at massively parallel GPUs. Both techniques are integrated into the pipeline and tested with multiple rendering methods. 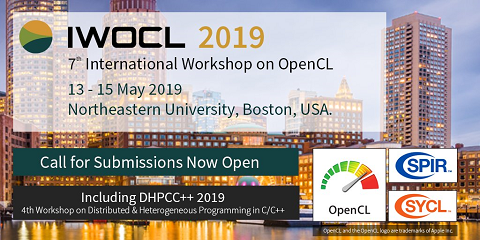 To achieve the portability required for testing different platforms we use OpenCL which is a cross-vendor and cross-platform standard for parallel programming.